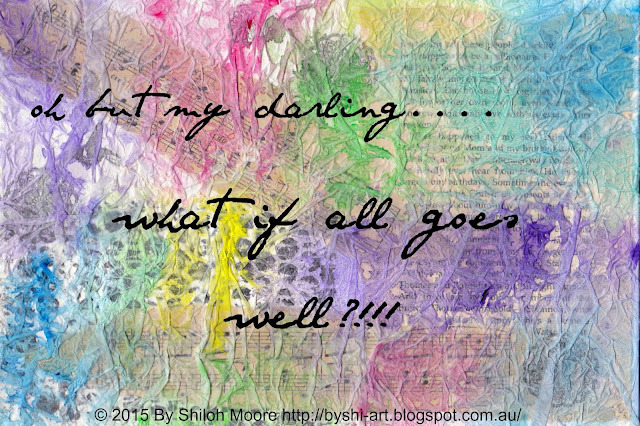 ByShi: ...What If All Goes Well? ...What If All Goes Well? "Oh but, my darling... What if all goes well?!!!" Labels: Chronic Illness, Fibromyalgia, inner adult, Inner child, Mixed Media, My Darling, Myalgic Encephalomyelitis, Self talk, What if all goes well?